Our Calais warehouse acts as “base camp” for our organisation and our partners. This is where we coordinate our actions in order to diversify the services we provide to refugees. Help Refugees has been our main partner on the ground since 2015. This British organisation covers the daily management of the warehouse and volunteers. Refugee Community Kitchen produces around 1000 hot meals every day in their kitchen in the warehouse, as well as stocking the ‘free shops’ at the Grand-Synthe camp with cooking essentials, and distributing food in the camp and around Calais. Volunteers from Utopia 56 work tirelessly to organise ‘maraudes’ around Calais, where they seek out people who are sleeping on the streets and offer them food and blankets. Refugee Youth Service is an association specialised in the protection of minors, as well as support and care for unaccompanied underage refugees. It is our partner for everything related to foreign isolated minors. Refugee Info Bus works in different places with a vehicle equipped with informatics supplies to provide one of the most missing component in humanitarian aid at the moment : information. They started a project in Calais in partnership with l’Auberge. 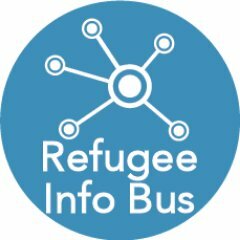 Info CAO is a citizen platform created to connect refugees with CAO, volunteers, associations and center organisers in order to improve the refugees’ welcome in France, and support life in community.